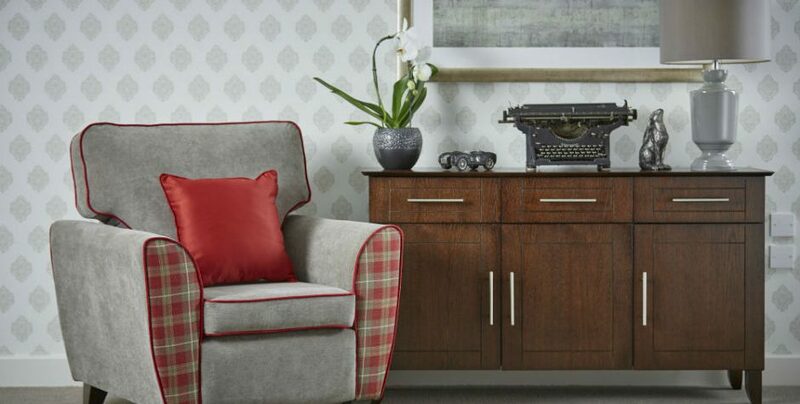 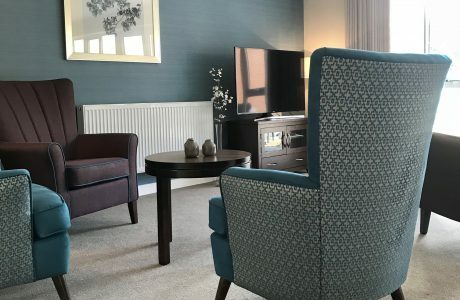 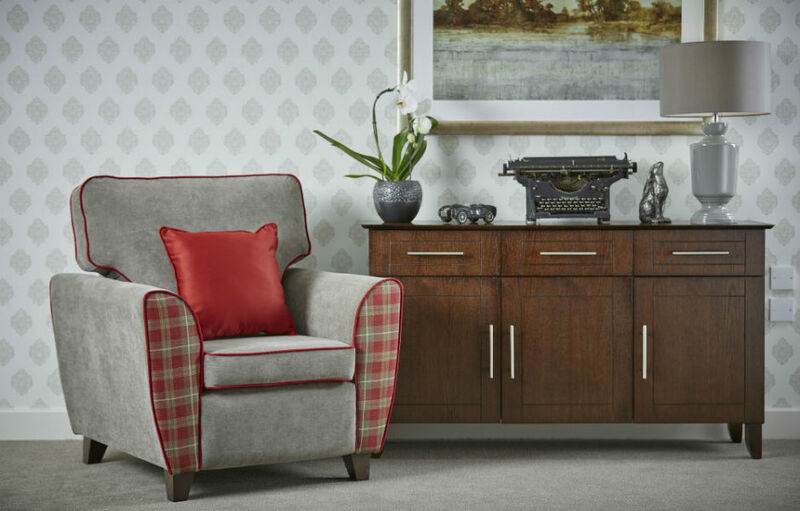 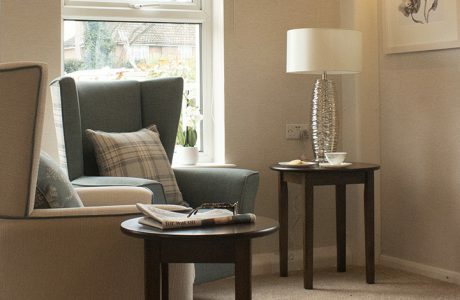 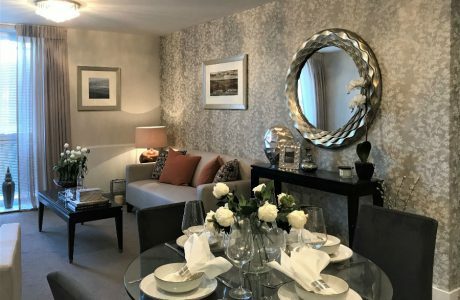 Dementia friendly design is about creating a homely and non-institutional environment, one that is safe and comfortable, promotes social interaction and puts people at their ease. 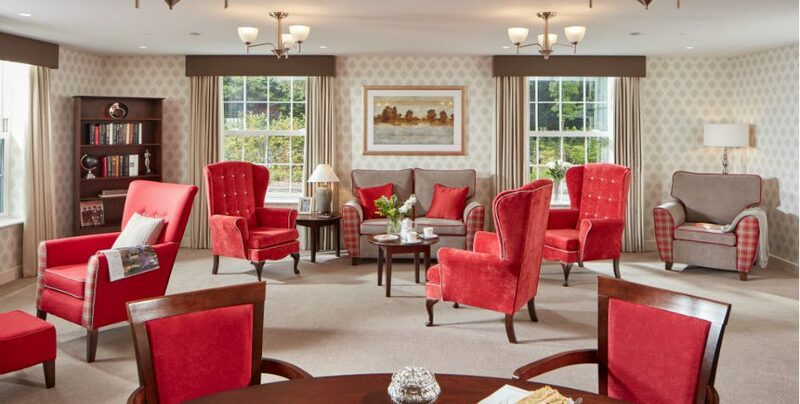 Good lighting and colour contrasting critical surfaces are key and importantly the design should be inclusive, ie cater for the needs of a person with dementia yet not look specially designed in anyway and sit comfortably with carers and visitors. 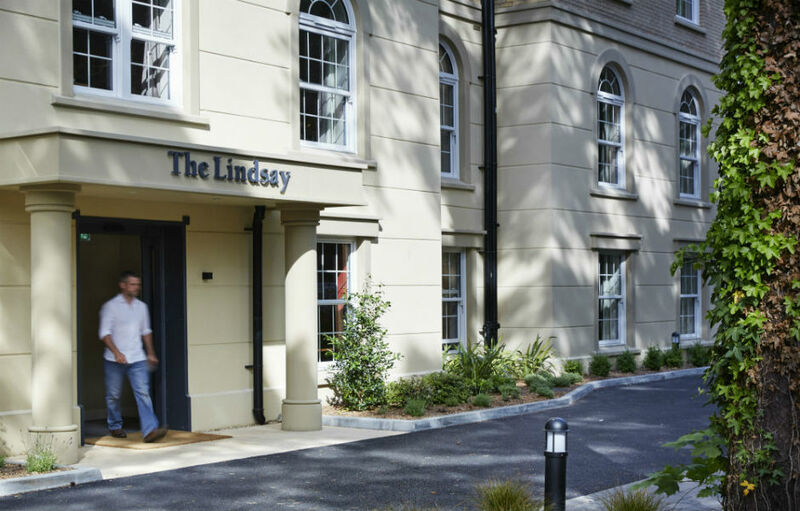 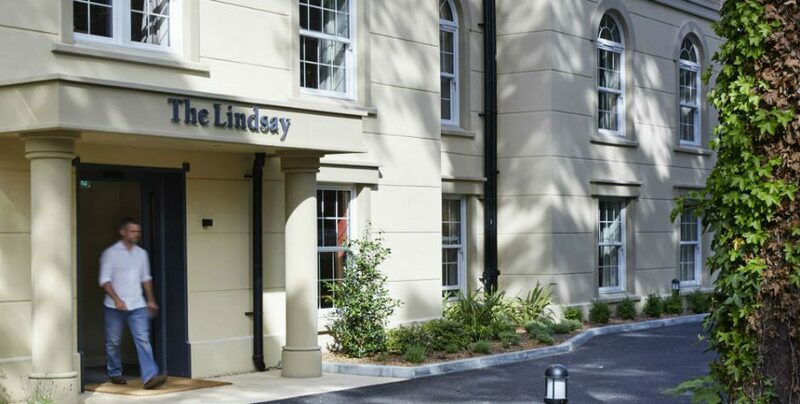 This 6 storey new build dementia home in Poole, Dorset offers nursing and residential care as well as care apartments on the top floor. 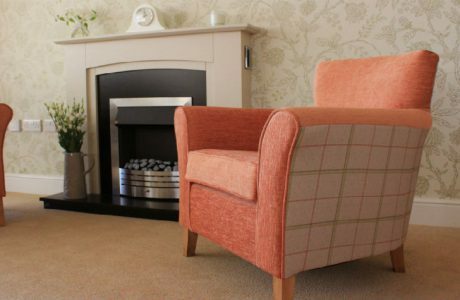 The architectural style of the building is Georgian which is reflected in the joinery detailing throughout the home and the style of the furniture. 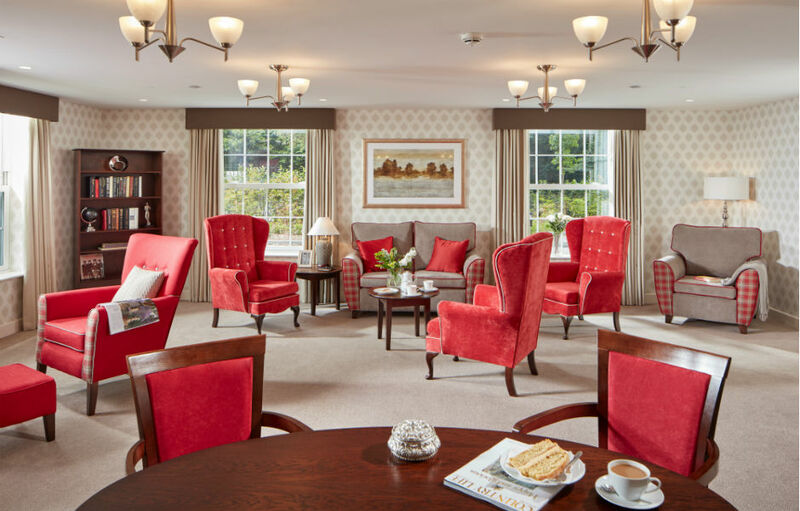 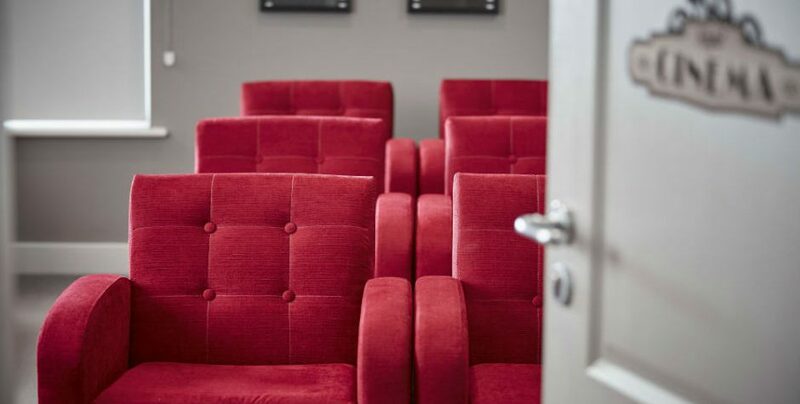 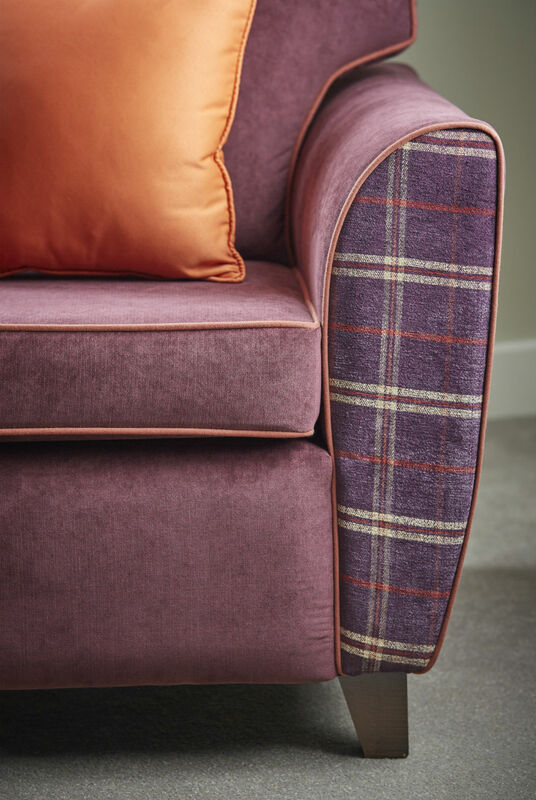 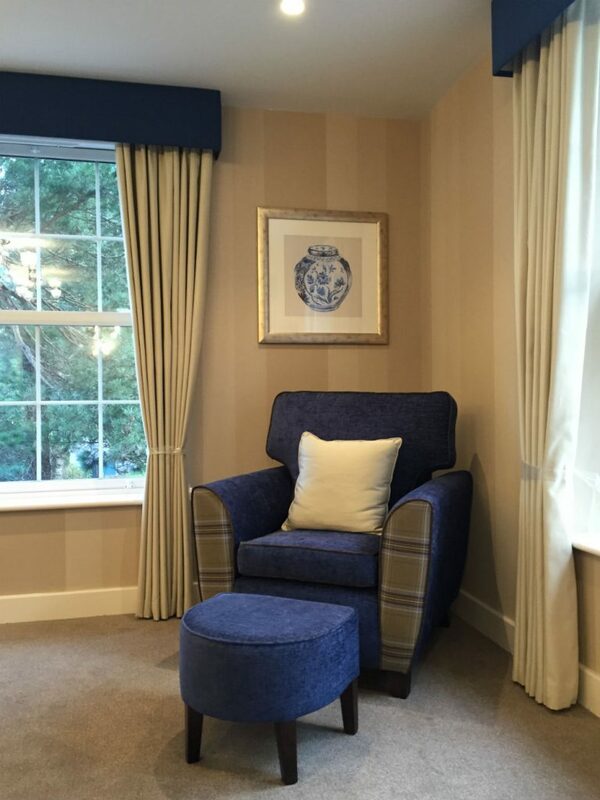 Each of the five communal lounges are designed around a tartan which we incorporated into the upholstery and this colour palette was extended out to the corridor colour scheme on each floor. 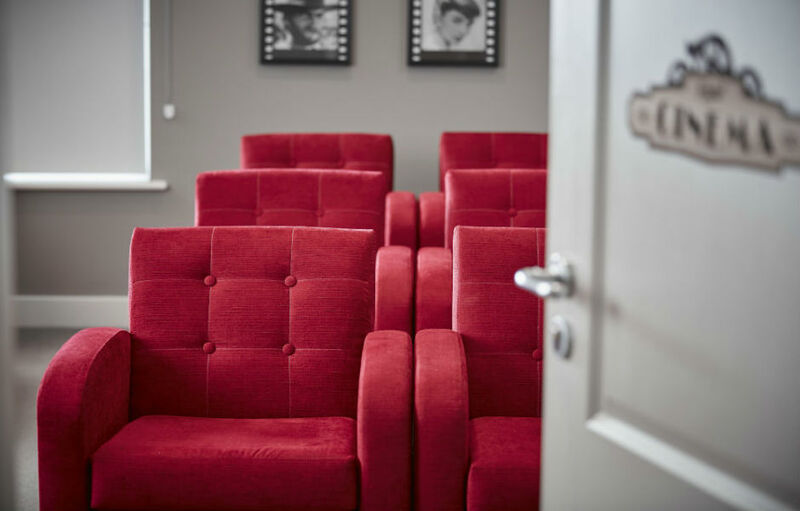 The communal spaces on the ground floor include cafe, library, cinema room, hobbies room and dining room as well as the main lounge. 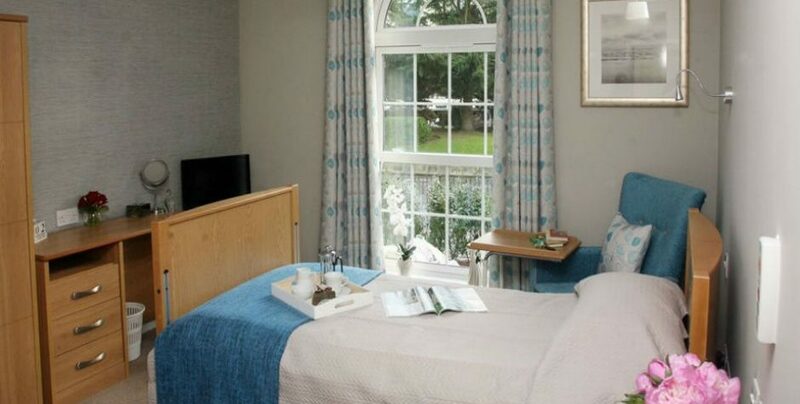 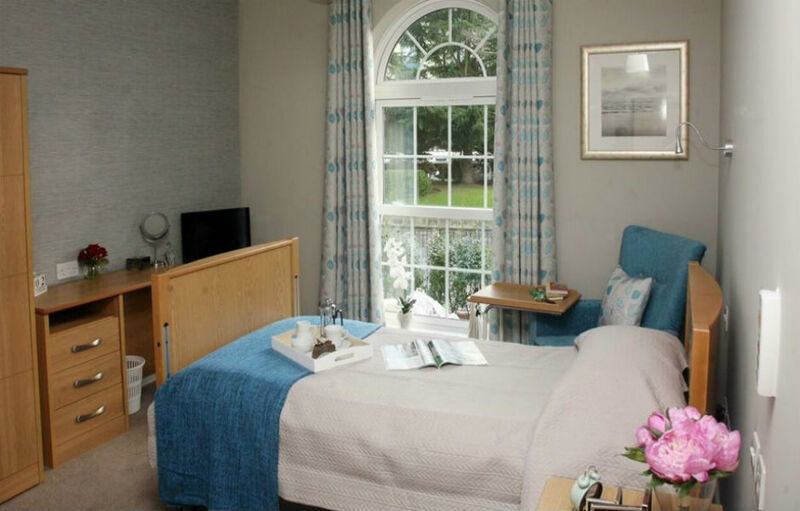 This care home has since be bought by BUPA.